Ez Events, Inc. hosted an event at the Hilton New Orleans Riverside and requested rental kiosks for training sessions. 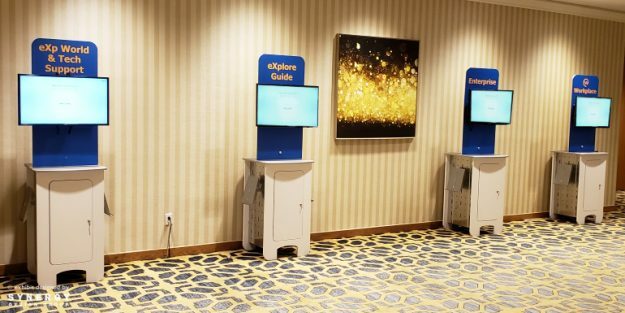 With this purpose in mind, we designed customized kiosks that connect laptops to video monitors, providing interactive, one-on-one training areas. The kiosks also stored cords, brochures and miscellaneous exhibitor items. In addition to rental displays, we offer rental kiosks in a variety of shapes and sizes, perfect for your next event. Speak to a team member today to reserve.